Chocowinity to Rt.# 33E to Clay Bottom School Rd. to Cotton Patch to Crisp Landing Rd.. This was an unuasual heavy snow for this area of NC. 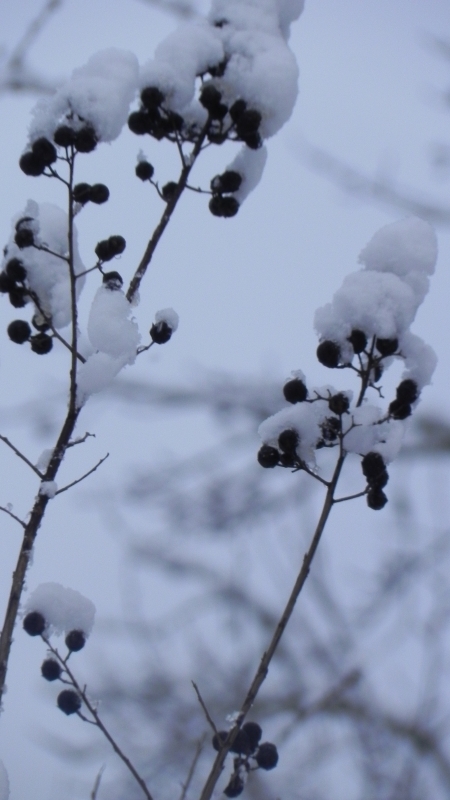 Seeds on bush capped with snow.